My new kitten Jinxy has a broken ball joint in his hip. It has been a horrible week for all of us with a ton of changes. This has been so stressful as we wait to see what will be done but also to watch him in so much pain. 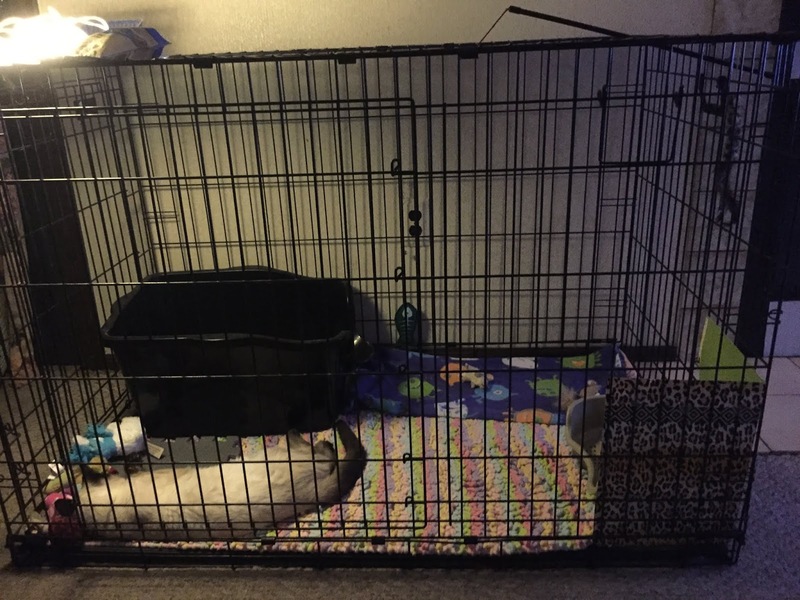 We were able to borrow a cage from a friend two days ago which has made everything so much easier for us to be with him. He was confined to a bathroom for 4 days and although I spent about 6 hours with him in the bathroom, that is not a lot in a 24 hour day.